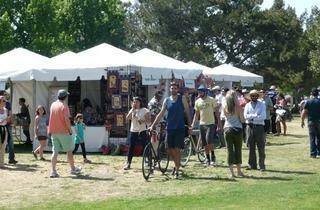 Photo courtesy Santa Monica Festival Festival goers shopping at the Marketplace. Celebrate the best our seaside city has to offer at this local festival. Produced by the people behind CicLAvia, the get-together combines the unique arts and culture of Santa Monica and green, sustainable thinking. 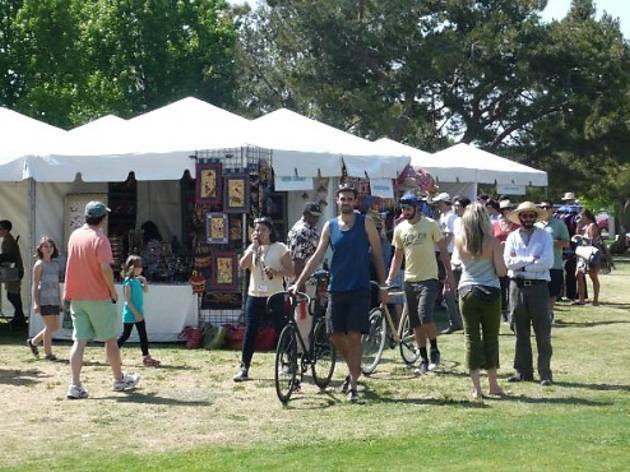 Take in live music and dance performances, shop local vendors' wares or drop by the Active Stage for a complimentary fitness class, from square dancing to yoga-Zumba. Foodies will enjoy the trucks on hand as well as a culinary stage with demos from local chefs, while the artistic can visit interactive workshops using recycled and repurposed materials. "the unique arts and culture of Santa Monica"
So... lots of hypocrisy and entitlement? We went last year. It was a bit crowded, and the popular activities for kids ran out of supplies early, but it was generally better than most festivals.